Note: This is combination of two “Facebook posts” from May, 2012. These were early “history finds” that were posted on Facebook and eventually led to this creation of this blog. I have plans to expand on all of the original “Facebook” history finds in the near future. I’ll add more pictures, history, and a bit of drinking. The idea behind this post and many of the facts in it came from the book “Hoosiers and Scrubby Dutch: St. Louis’s South Side” by Jim Merkel. 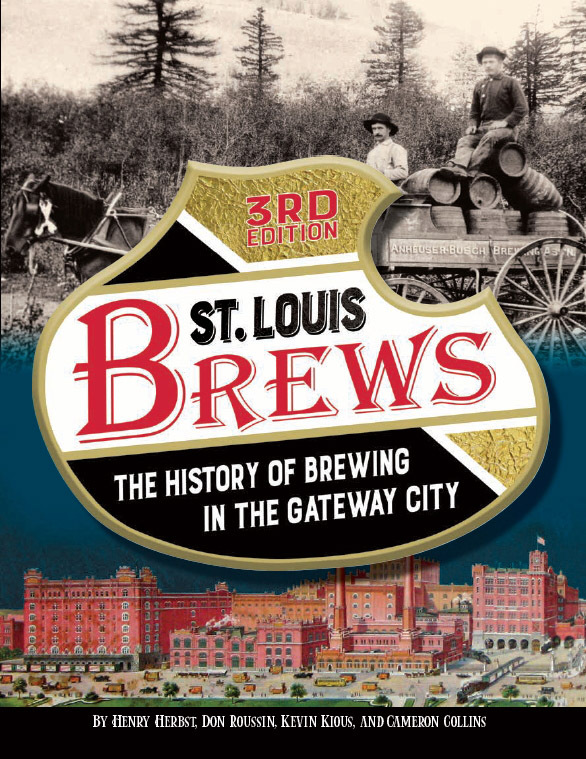 It’s a fun book that contains a ton of great stories about St. Louis. In the early days of St. Louis, much of the land west of the city was set off as common fields, communal land used for farming and grazing. In the mid 1830’s, city leaders moved towards selling this land to create streets and blocks for a growing city. Drive around south city and you’ll quickly see the street naming plan: the north-south streets are named for states, while the east-west streets are named after Indians or Indian tribes. There are thirty-two streets with state names, and there’s no order to them. Pennsylvania runs next to Minnesota and Ohio runs near Oregon (which was still a territory at the time). 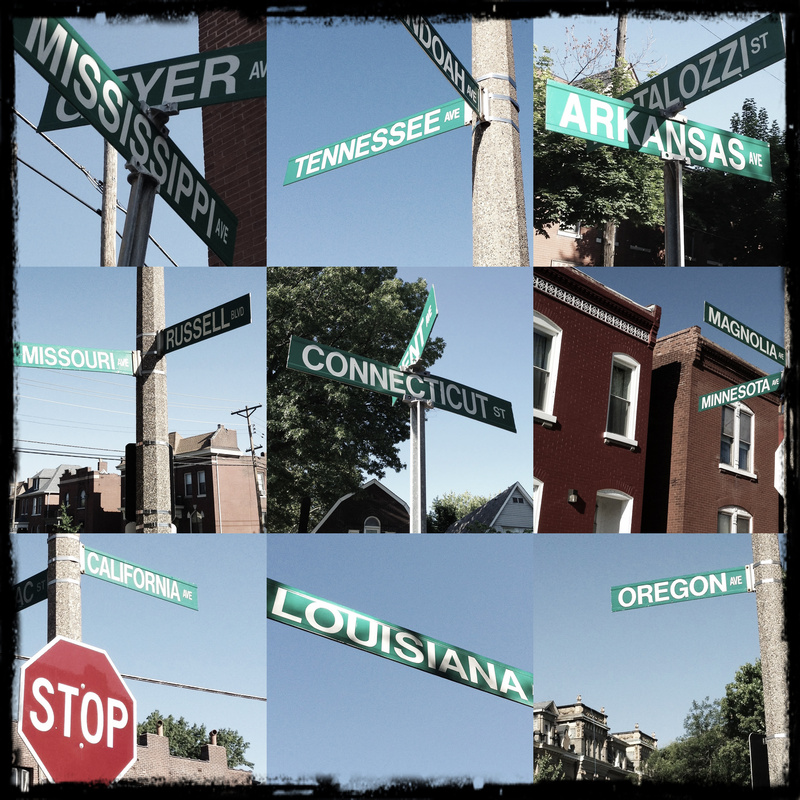 When I first moved to St. Louis, I was told by several people “Whatever you do, don’t live on a street named after a state”. Unfortunately, this advice holds true for some of the state streets, but I’d gladly swap houses with someone who lives on Mississippi or Nebraska. My best friend lives on Connecticut (which by the way, is named after an insurance company, not the state). While the “State streets” run north and south in St. Louis, the “Indian streets” run east and west. Just like the state streets, there’s no order or pattern to their placement. 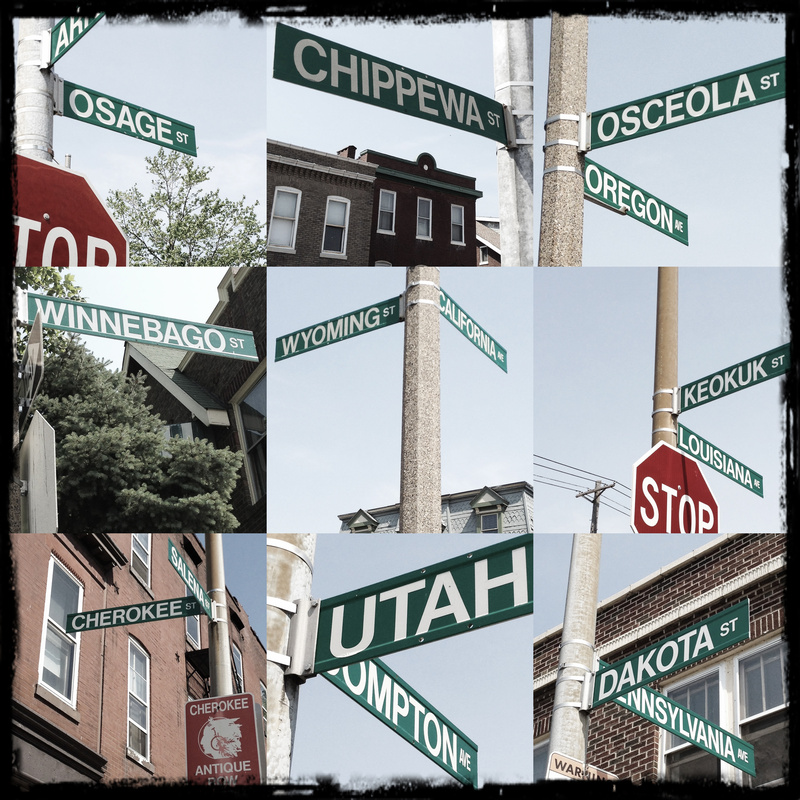 Many streets are named after tribes (Dakota, Osage, Winnebago, Cherokee, Chippewa), and some are named after Indian leaders (Keokuk and Osceola). Some street names seem to be named after states, but are actually Indian names. Utah is named after the Ute or Utah Indians, not the state of Utah. Wyoming Street is named after the Indian word for “land largely the big plain”.